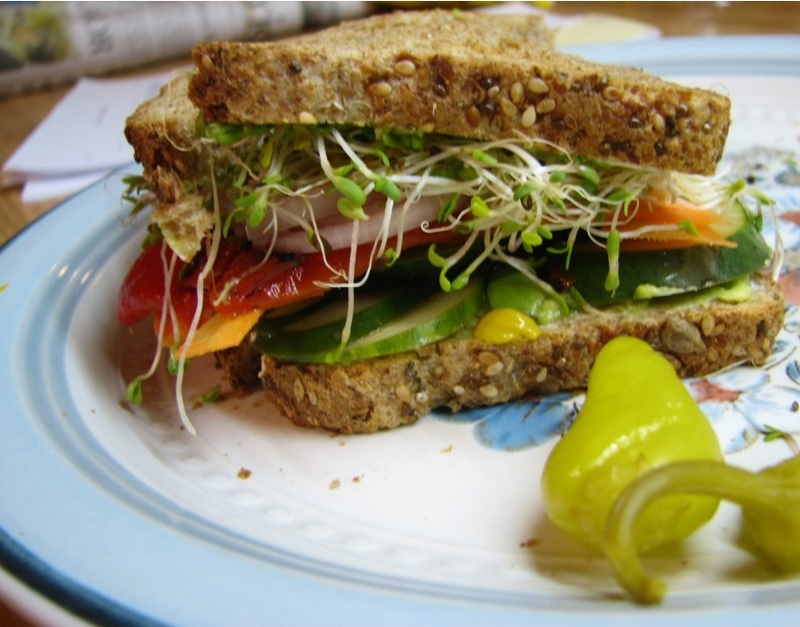 Here is a hearty satisfying summer sandwich for all the meat-less folks out there. 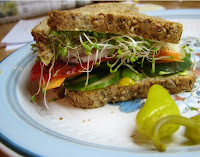 I used all organic ingredients, and the bread is Foods for Life Genesis 1:29 Sprouted Grain & Seed Bread. Sometimes I toast the bread, but this time I did not. Enjoy! Spread cream cheese on one slice of bread and the mashed avocado on the other slice of bread. Layer all ingredients, close the sandwich and serve immediately. Enjoy with a side of your choice or as a complete meal on its own.